Welcome to my website on the Aroma~Care™ Series of books where you can find information on Aromatherapy and the use of essential oils for your pets, homes, gardens, teens, and medicinal uses. 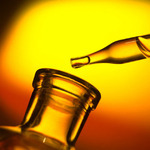 Before you begin your journey into essential oils, be sure to learn about the safety and precautions of using essential oils, especially on children, pets, and others who are ill. Remember, even though essential oils may smell good---they are medicines and should be respected as such. Overdosing on the use of essential oils can be just as harmful to the individual as an illness. Some essential oils will build up in the body with consistent use and may cause toxicity in organs and tissues. Through much research and decades of using essential oils in my own life, as well as completing professional aromatherapy courses with trained instructors, I hope to share some of my findings with you. I welcome your comments and look forward to sharing your favorite blend recipes with others. 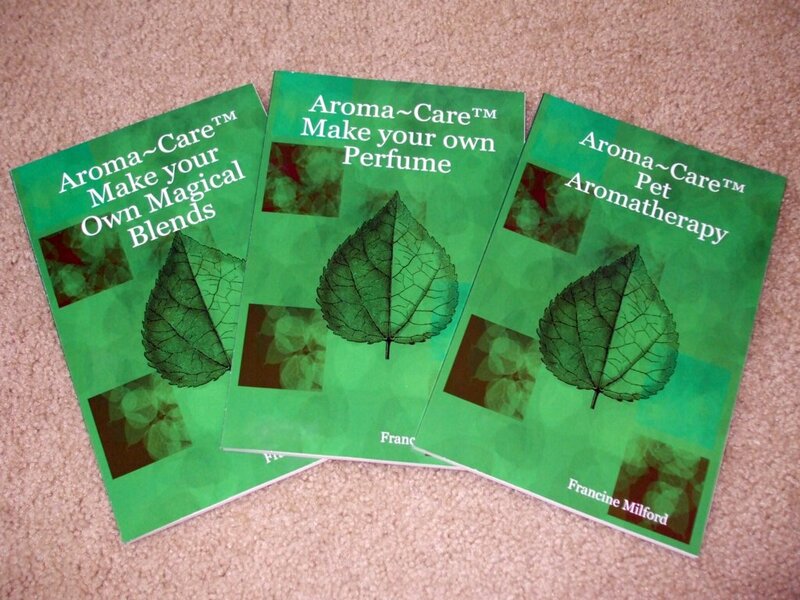 Aroma~Care™ is a series of instructional booklets on a variety of uses for essential oils that has beent trademarked in the United States. In addition to offering books for sale, I also offer a variety of hands-on and Home Study Aromatherapy courses and certifications for those who would like to learn more about this wonderful healing modality. The CE's I offer are recognized by both the NCBTMB and the Florida Massasge Board for massage therapists and bodyworkers who need ce's to renew their license in order to practice in the State. What does Aromatherapy Stand For? The scents that are used in this modality come from essential oils. Essential oils are derived from plants that have been valued for their therapeutic properties for more than 5,000 years. Just like in humans, essential oils can also be used to relieve anxiety and fear in pets who have been through a traumatic event. Essential oils can be added to shampoos, powders, sprays and even toothpaste. When used properly and thoughtfully, essential oils should produce no harmful side effects. If you have any doubt about the essential oils that you are using, or how you are using them, please seek professional advice before beginning any form of self treatment for you or your pet. ON-SITE: I will no longer be teaching hands-on workshops unless a group of 4 or more people hires me to do so. Cost of 12 hour course is $249 a person and takes 2 days to complete; 6 hours a day. Workshop must be prepaid by participants before class can be scheduled. On-site workshops count for 12 LIVE ce’s for Florida Massage Therapists and 12 ce’s for NCBTMB. ONLINE: I will still be offering the 4 hour home study course titled, "Aromatherapy for Massage Therapists and Bodyworkers." Participants in this workshop receive 4 NCBTMB and 4 Florida Massage ce's. HOME STUDY: I offer a 250 hour professional Aromatherapy Certification in two levels of trainings (Level One: Introduction to Aromatherapy-50 hours and Level Two: Advanced Aromatherapy-200 hours). After successful completion of these two levels of training, you may decide to request ARC to sit for their national exam and become a registered Aromatherapist (RA). 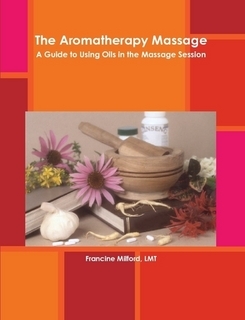 The Aromatherapy Massage: A Guide to Using Oils in the Massage Session, is a book created by Francine Milford, a state and nationally licensed massage therapist. The book will instruct massage therapists and bodyworkers on how to safely and effectively incorporate essential oils into the massage session. This book will cover the history of aromatherapy in both ancient and current times. A time line will show when the use of essential oils was first documented and the many uses we enjoy today. A section of the book will deal with legal product labeling, safety and emergency issues, and professional ethics. The chemistry of carrier and essentials oils will be explored, along with plant botany, documentation and client in-take forms. Price: $25.00 + $4.99 postage inside U.S. The Aromatherapy Massage: A Guide to Facial Massage manual covers the history of aromatherapy throughout the centuries including ancient uses to modern day findings. The manual covers plant botany, oil chemistry, systems of the body, an entire section on carrier oils and essential oils, along with dilution and blending methods. Also covered in this manual is how therapists can use face reading techniques to discover the health of their clients, along with a a Qi Facial massage. 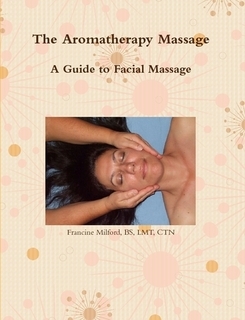 Finishing the book is step-by-step pictures of how to perform your own Aromatherapy Facial Massage session. Large 8.5 wide x 11 tall manual with 274 pages of information. Price: $25 + $4.99 postage inside U.S.